Spa Xel-Há invites you to a unique natural experience. At Xel-Há Park you will find a place of peace and harmony surrounded by luxurious nature. The Spa treatments are the perfect combination of physiotherapy techniques and the practical applications of natural benefits for those who yearn for purification, liberation and well being away from the stress of everyday life. 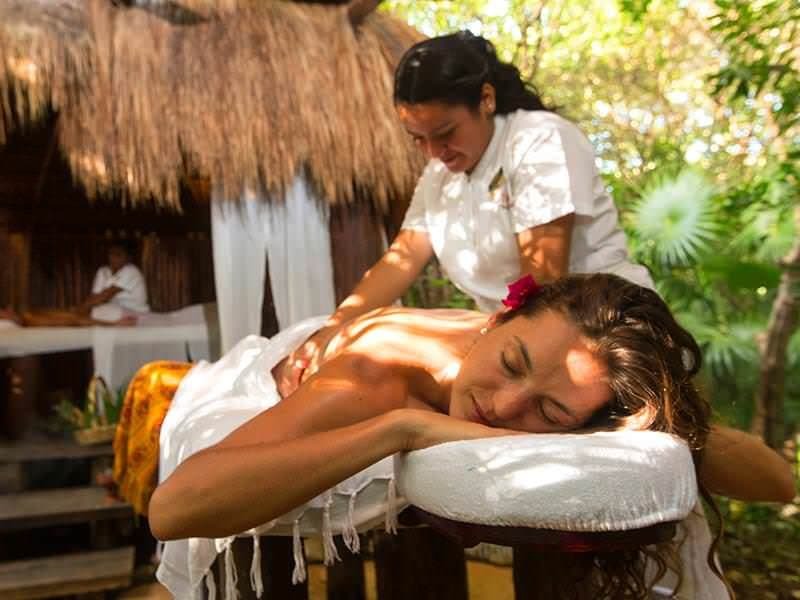 Each massage integrates balance and relaxation rituals inspired by ancient Mayan treatments. You can experience traditional sessions or more exotic ones such as the chocolate treatment. Experience a completely new vacation in harmony with nature in the Caribbean.